I love carrying my babies around. Having a baby carrier is really an essential that I recommend all new mothers have. 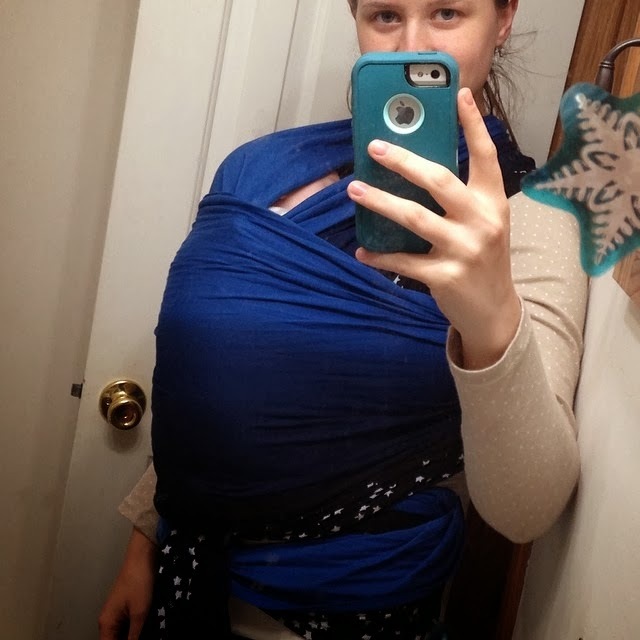 It is an amazing way to be hands free and still hold baby while doing other things that need to be done. 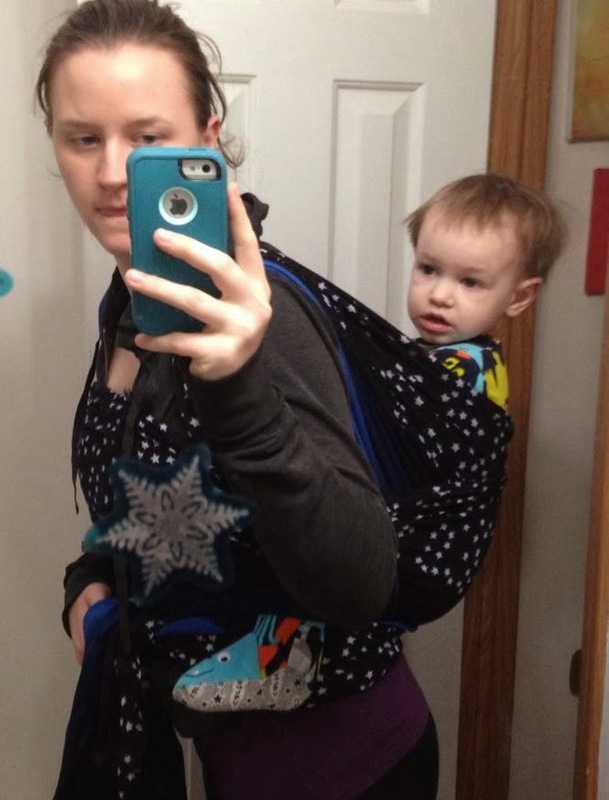 I use a carrier when I'm at the grocery store (or any other store), doing household chores, taking my kids to the park or zoo or even just taking a walk. I love wraps, especially for newbies and I use a wrap EVERY SINGLE DAY. I always have one tied on me and don't take it off except to shower. My son is super attached to me and loves the wrap as well. 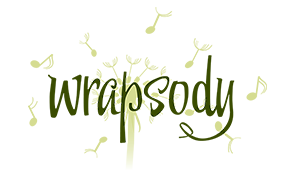 I recently had a chance to try out Wrapsody which has some beautiful wraps! One of the most beautiful wraps I've ever seen!! Tying a wrap is really easy and you can google ways to do different carries. This is a Front Wrap Cross Carry (but the crosses are under the middle panel) with my 2 month old. He was 6.5 weeks and about 11-11.5 pounds here in the picture. Same carry with my 2 year old, he's about 24 pounds. This is a Double Hammock back carry with my 2 year old, it should have been a bit tighter, but he didn't want to lay down so I could tie it tighter. My little guy hates being on my back unfortunately. This wrap is truly amazing!! It has very quickly become my favorite. I love the slight stretch of it, but still being supportive enough to be worn on the back. It's so soft, I love that it doesn't require to be broken in like a regular woven wrap and you can use it straight out of the package. I WILL be buying another one of these wraps. It is truly amazing! 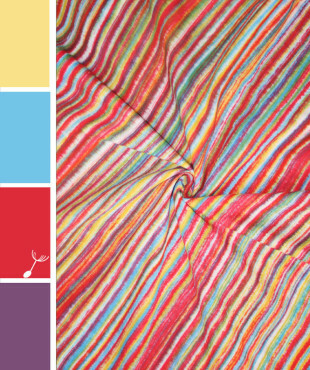 It is a beautiful wrap and I love that by simply turning the wrap around it's like a whole different wrap! The wrap is super soft, I also love that it's machine washable and dryable and I have used that 'feature' a few times now, mine always tend to get spit up/drool on them very often. It has come out of the dryer just as good as new each time it's been washed. No shrinkage either (maybe VERY minimal shrinkage). The wrap is very easy to tie and use. It is a bit wide so there's a good amount of fabric, but I like this because it allows you to do different carries and also gives a much more secure back carry as well. Each of their carriers is handmade too which is a great feature. They also offer a Breeze wrap which is gauze. Price: The Stretch Hybrid is just $89! Which is one of the most affordable, good woven wraps I've come across. Overall: ***** I love this wrap so much, it is definitely my new favorite! Thanks for the review - as I have commented before, baby stuff has sure changed in the last 20 years....I'm eagerly reading up on all the stuff, in anticipation of grandparenting!